Believe it or not, but there are such organisations in the world billed as ‚refugee camp companies‘. These are typically infrastructure companies which are contracted by governments to build refugee camps. Ferrovial, the Spanish company hired by the Australian government, is one such company. It may also be liable for crimes against humanity. The company has been warned that “based on [the] examination of the facts, it is possible that individual officers at Ferrovial might be exposed to criminal liability for crimes against humanity under the Rome Statute,” said Diala Shamas, a clinical supervising attorney at theInternational Human Rights and Conflict Resolution Clinic at Stanford Law School. These violations include: Death in care, lack of adequate medical care, and of course, the whole government-related policy of offshore-detention. On Nauru, an island close to Australia being used for such camps, there have been multiple cases of sexual and physical assault against refugees, including against children. So far, no arrests have been made. Refugees themselves are typically frightened to agitate against the company, including making formal complaints about abuse, as they are frightened of the consequences. There have been reports of torture too. 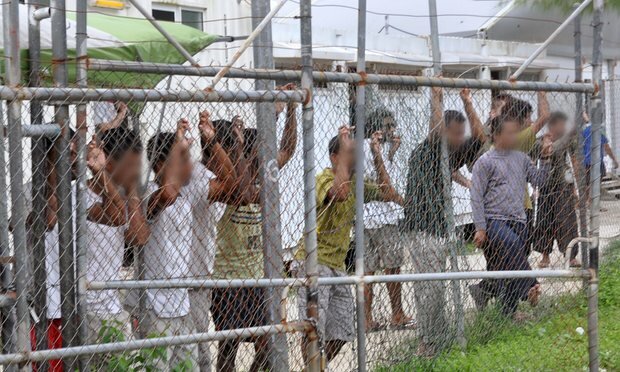 An Australian Senate inquiry found that a “culture of abuse” exists in offshore detention, and former staff have condemned the camps. A traumatologist described conditions on Nauru and Manus as the “worst atrocity” he had ever seen. The corporate-governmental complex that is keeping this reprehensible process going is highly powerful and efficient. It’s going to take some brave legal action and protest to make changes to this detention process a reality.